BOSTON--(BUSINESS WIRE)--Beginning March 1, the Harvard Museum of Natural History, located on the historic Harvard University campus, will join the Boston CityPASS® program. For 20 years, CityPASS ticket booklets have allowed travelers to visit a destination’s top attractions while saving nearly half off combined admission prices. Each 2017 Boston CityPASS booklet includes prepaid, discounted admission to the New England Aquarium, Museum of Science, Skywalk Observatory at the Prudential Center, and a choice between either a Boston Harbor Cruise or the Harvard Museum of Natural History. Blurring the line between science and art, two stunning collections at the Harvard Museum of Natural History are must-sees. The impressive Glass Flowers collection, which was started in 1886 by father and son artists Leopold and Rudolf Blaschka and took more than five decades to complete, features 2,000 dazzling, intricate and botanically precise glass flowers. Years before they were commissioned by Harvard University to create the Glass Flowers, the Blaschkas meticulously shaped glass into lifelike models of marine and terrestrial animals. Sixty of their oceanic creations—delicate jellyfish and anemones, octopus, tentacled squid and bizarre-looking sea slugs captured in glass—are now part of a permanent display titled Sea Creatures in Glass. Once you’ve been dazzled by the glass collections, explore the museum’s 15 remaining galleries and 9,000 additional specimens. See thousands of rare minerals and gemstones, hundreds of mammals and birds, and the new Marine Life gallery. The exhibits document the earth’s evolution from the days of dinosaurs to such modern challenges as climate change and species extinction. As of March 1, the start of the program year, each 2017 Boston CityPASS ticket booklet will save travelers 45 percent off combined admission to the included attractions. Boston CityPASS prices (as of March 1): $56 for adults (a value of $102); $44 for children, age 3-11 (value $78). Ticket booklets can be purchased online at CityPASS.com or at any of the participating attractions. They are valid for nine consecutive days, beginning with the first day of use. Celebrating its 20th anniversary in 2017, CityPASS has been making vacations easier, happier and more affordable for two decades. CityPASS booklets, which save travelers up to 50 percent off admission to a destination’s top attractions and allow visitors to bypass some main-entrance ticket lines, have a 98 percent customer recommendation rating. CityPASS booklets are available for New York City, Southern California, Atlanta, Boston, Chicago, Dallas, Houston, Philadelphia, San Francisco, Seattle, Tampa Bay and Toronto. Visit CityPASS.com to learn more. 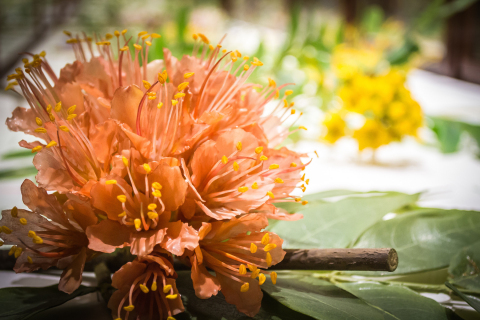 Beginning March 1, the Harvard Museum of Natural History and its stunning Glass Flowers collection will join the Boston CityPASS program.